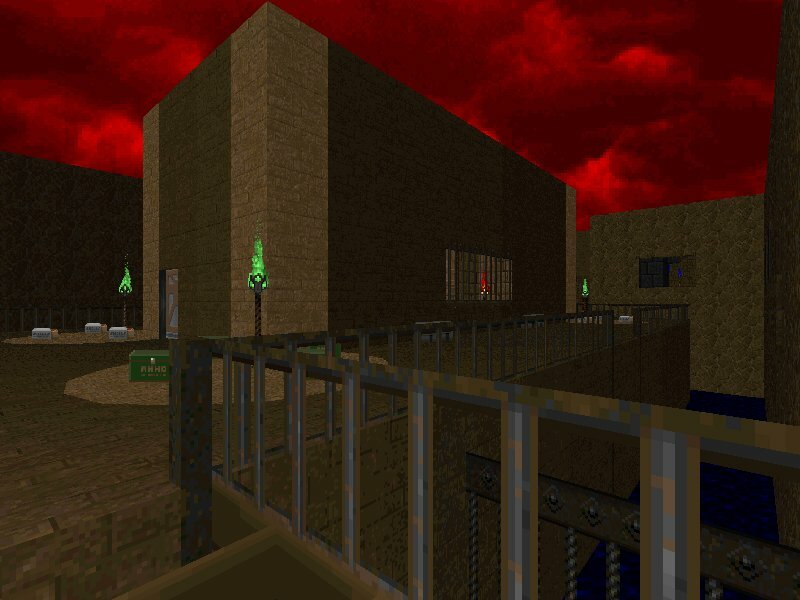 We get this leviathan Chronicles moving with a classic Doom 1 map that was uploaded a couple of weeks back, but both Deathz0r (intentionally) and Grazza (accidentally) missed it. 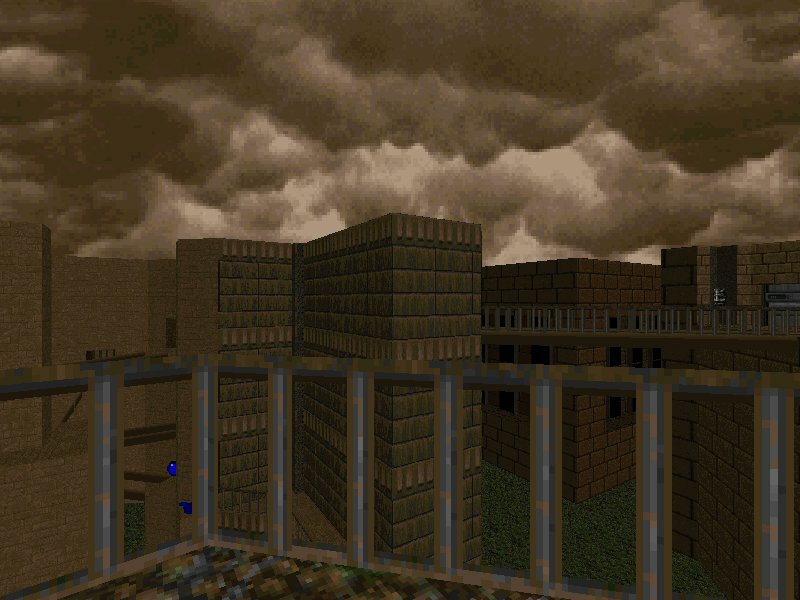 A positively huge map back then (it used to crash the savegame buffer in Doom v1.2) but just big by today's standards, this E2M1 replacement has a real mixture of themes - tech, gothic, wooden, industrial and outdoor (although most of the map is underground). It somehow manages to pull it off, and despite the architecture being quite basic in many places, the texturing and use of scenery makes the detail feel quite good. 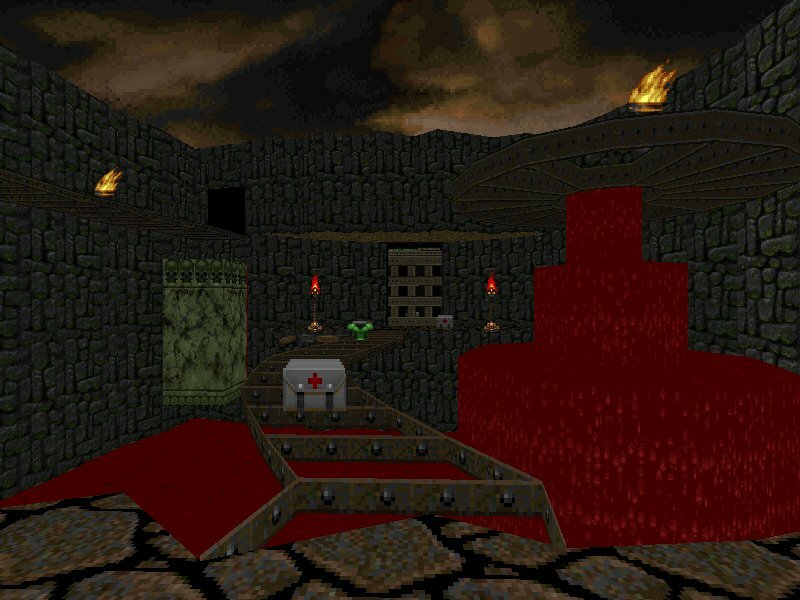 The gameplay is interesting - with evasive manoeuvres to get going, a choice of two ends to start the main section at (each with different weapons nearby), the possibility of shortcutting to the blue key from the adjacent room and starting from there (making two reverse routes possible as well) and an almighty battle at the end. 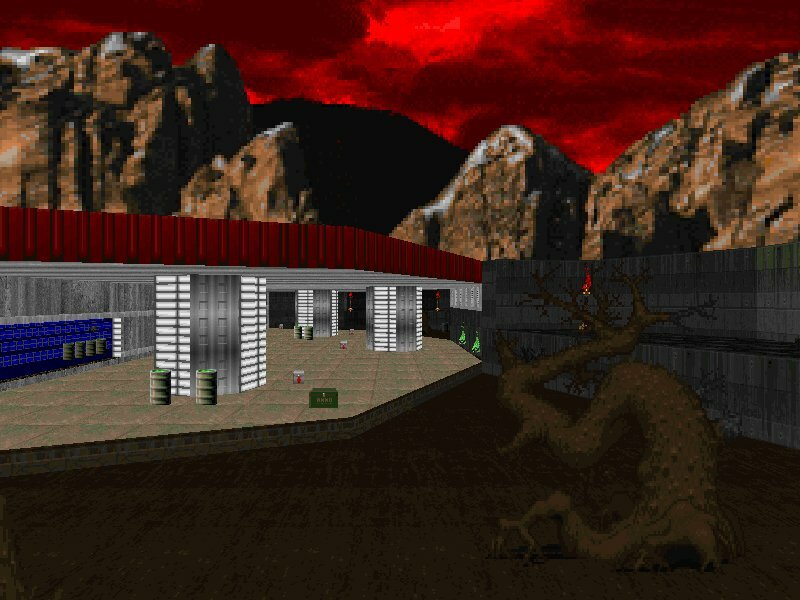 It's even fairly tough by Doom 1 standards, with plenty of monsters, health pretty scarce when you need it, and you may struggle for ammo in the main section depending on which end you start at (or which end you go to first if you manage to shortcut). This is a quality, interesting and fun map that should not be missed by anyone. A patchwork-quilt of a map that has a partially nonlinear layout. 3 different routes, each with a different theme and key, that can be done in any order. Graphically there's plenty of stuff, including lots of fake 3D and lighting effects in darkness. A suitably dark spooky tune complements this and the detail is pretty good overall, with great use of the nb5 texture set. Gameplay is fairly balanced and has some sneaky traps (monster teleports mostly), although nothing to write home about. Much depends on which way you go first, as this will affect the difficulty in the three sections (paying a visit to the exit-containing 4th section first helps a little). Ammo and health aren't really a problem, monster-wise it's ok, but the yellow key requires a speedrunning trick to get, and a very difficult execution of it at that. It's certainly dark and creepy, and although I don't really like this sort of map that much (teleporter-based maps with several sections, all isolated from each other), the detail level will be enough to make you want to play. 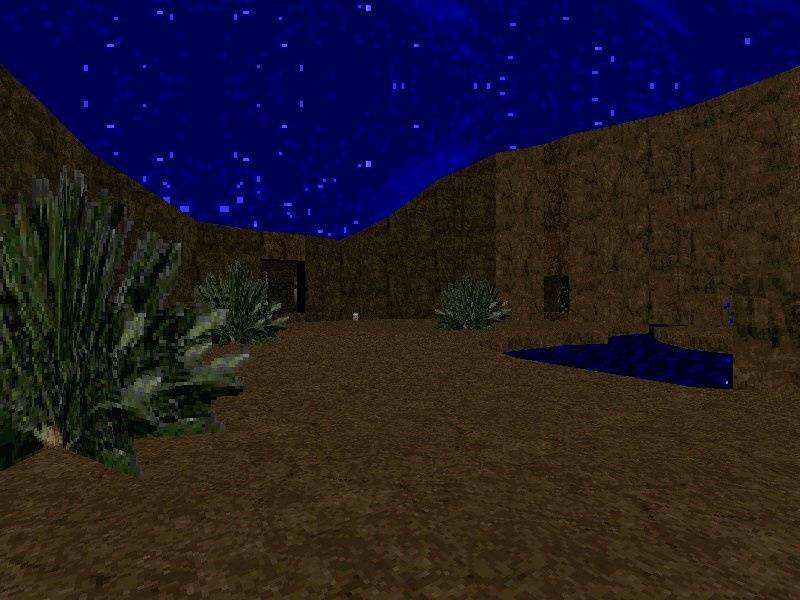 OMG a Hexen map!!! 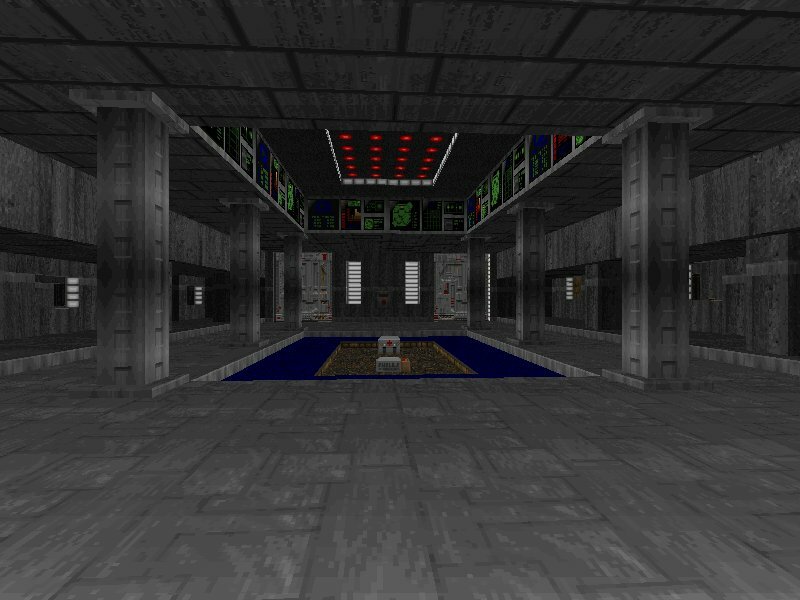 And not only that, the first ZDoom Hexen map ever!!! The setting is a citadel/chapel where you start outside. 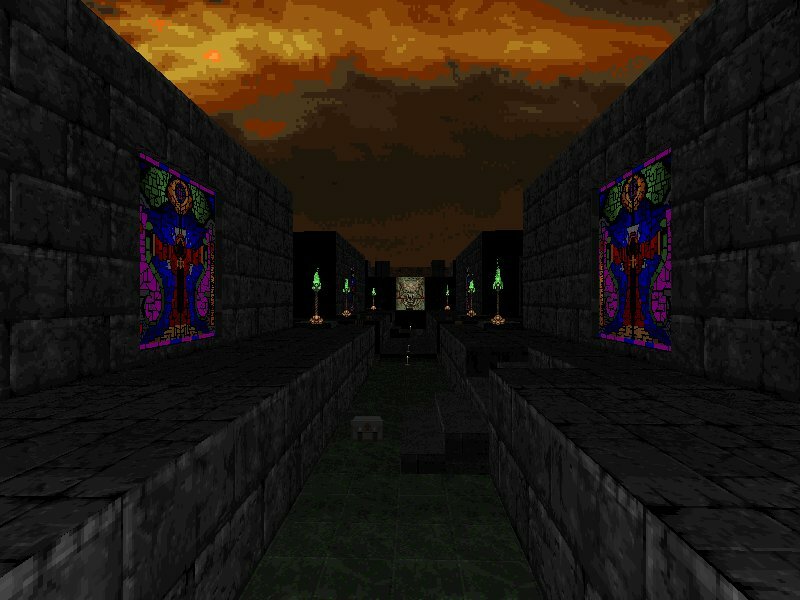 Detail is pretty much what you'd expect from Hexen maps, nice enough to create that gothic atmosphere that always works. The layout is symmetrical - right down to the tasks you have to do, which could lead to repetitiveness, particularly in the two spiral sections outside the citadel. 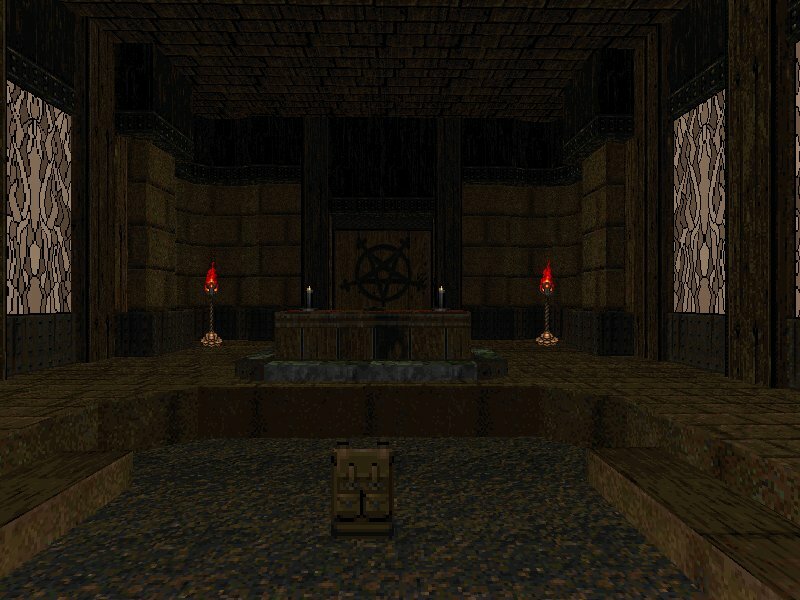 It doesn't share Hexen's puzzles though, as only keys and switches are used. 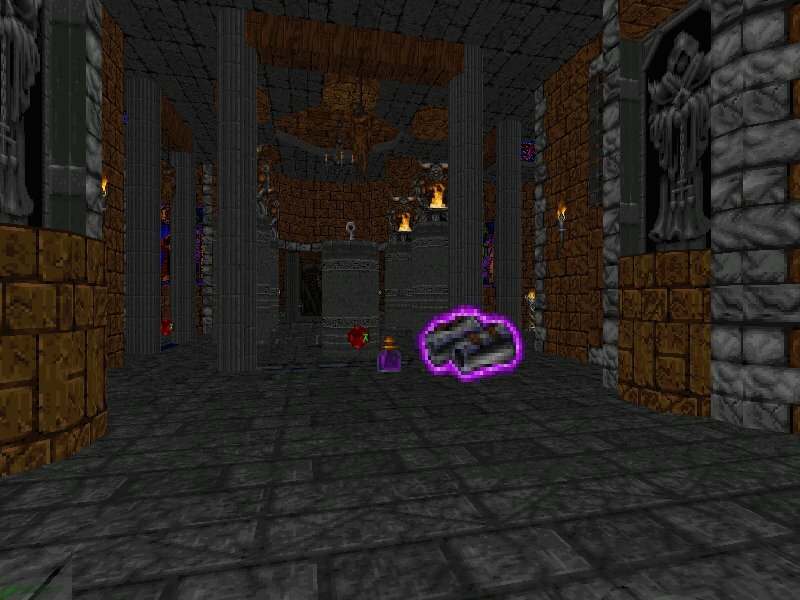 As with any Hexen map, choice of character determines gameplay so my review is based on the fighter (which the randomiser gave to me) - it's pretty tough right from the start. You'll have no mana trouble, but will be lucky if your health goes above 50 once it goes below. So some skilled tyson play is required to keep going. Of the others, I'd imagine the cleric would find it extremely tough round the outside but health problems will disappear once the serpent staff is grabbed, and the mage wouldn't have much trouble early on but might struggle for mana later, as well as having trouble with close range fights (which are quite common here). 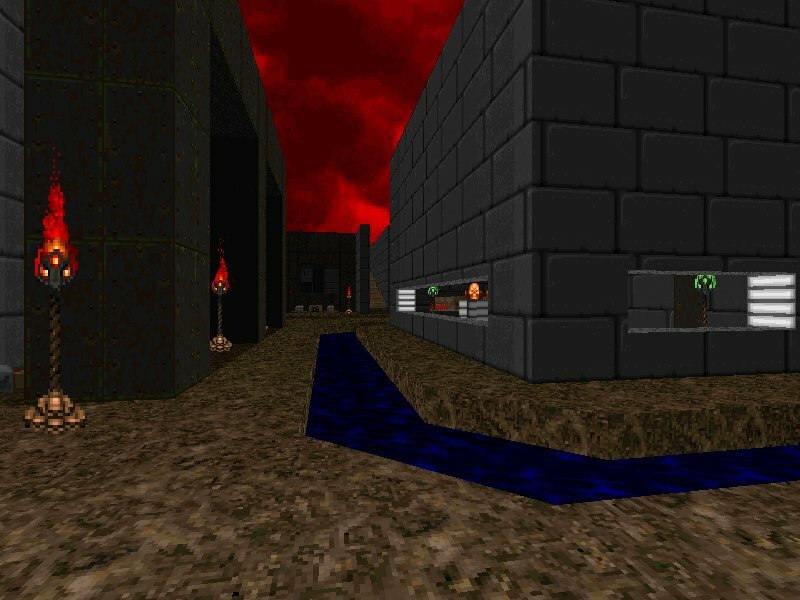 Overall a good map that certainly looks and feels like a Hexen map, although the lesser Doomers might find it annoying difficulty-wise. 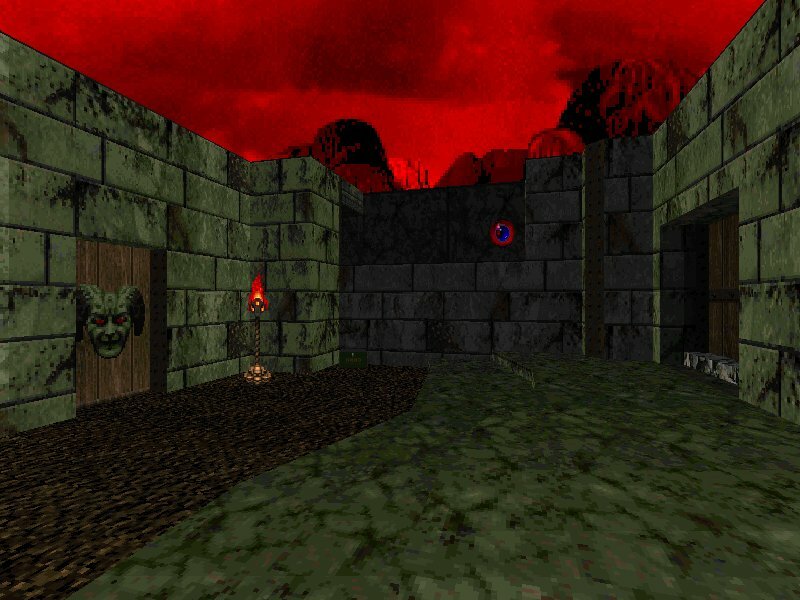 If you're a Hexen fan then here's a good map to ease your craving for new maps, if you're not then play it anyway - you might become one, you never know. 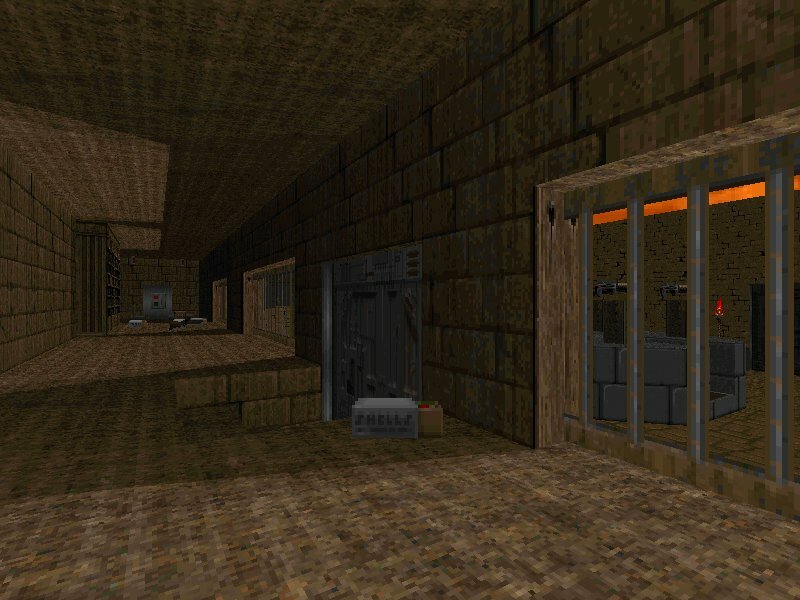 A Doom 1 map with a sort of base/wood/sewer theme. 2 main bases, each with a harmless sewer and a few teleporters in, connected by an outdoor bit in the middle. Detail isn't that good although there are no texturing bugs, and the gameplay isn't much better. A mostly zombie population plus two traps with imps and demons in. Ammo and health are too abundant, and the layout is a bit confusing. This would've made a good deathmatch if you could get a fair few people round, but is not really suited to single player. 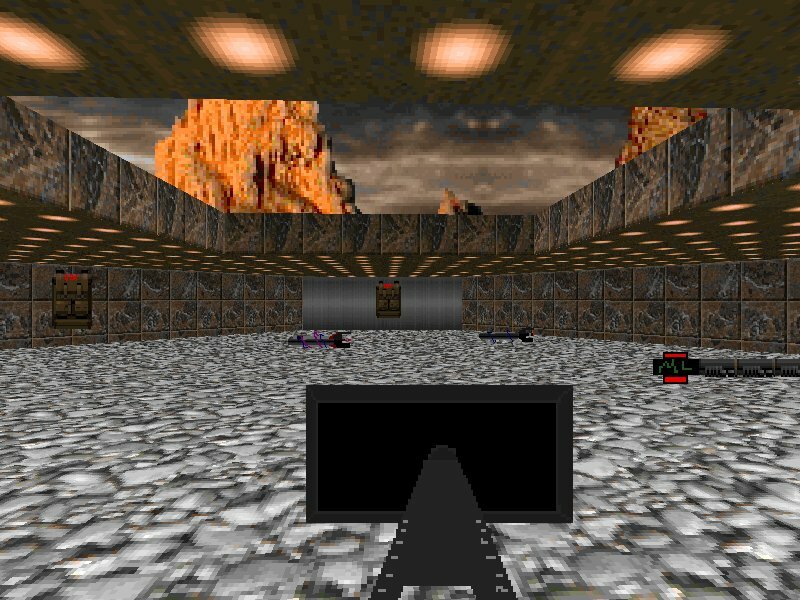 Another Doom 1 wad, this time a set of 4 maps (E1M1,2,3,9). This time the base theme is more evident, although other themes do make an appearance now and then. Detail is below average in most places, but the old-school atmosphere is conveyed here. The gameplay is nothing special, with nothing really to challenge you, however you may get caught out with low health in one or two places. Ammo is too abundant, and health isn't much of a problem either although getting the supercharges is partially to blame. 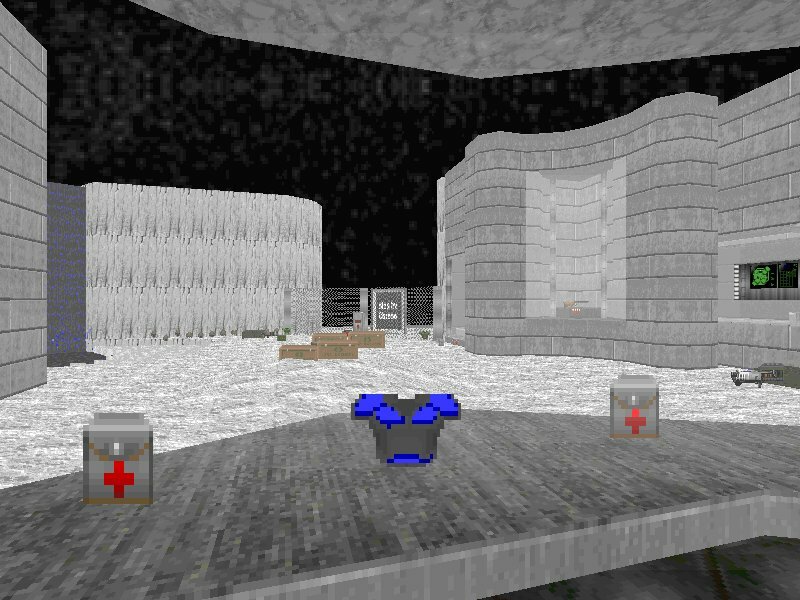 Like his other map, the layouts are sometimes confusing and there's many places you don't need to visit, together with lots of teleporters that go here, there and everywhere. Old-school fans will enjoy this, but I'm not sure about the rest of you. A small but intense map set in a combat-training simulator (but the wounds are real). 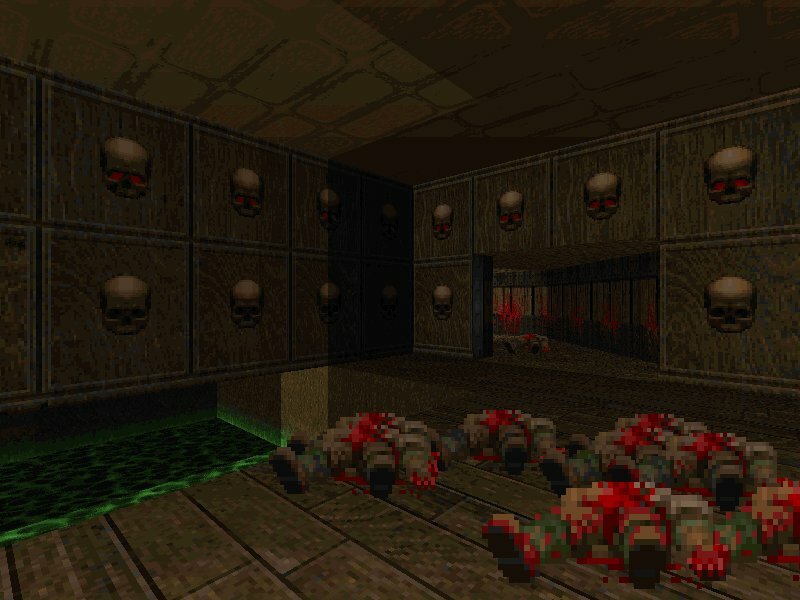 Using a grid texture reminiscent of one of my early maps, this takes place in a series of cramped, square corridors complete with roaming hellspawn. A lot of you will find the start area impossible, with 4 cacos determined to block you in every way (make sure you use a port that allows you to cross over/under things! ), and no items for support. If you can evade them and reach the shotgun room (prior knowledge required) then it becomes straightforward once the cacos are down. The room outside the arena is nicely detailed, but the rest of it is plain as they come. On the plus side it's a little different theme-wise and the music is excellent. Play if you like close-quarters fights and you're a good dodger or speedrunner, if not then ignore it to avoid frustration (unless you cheat). 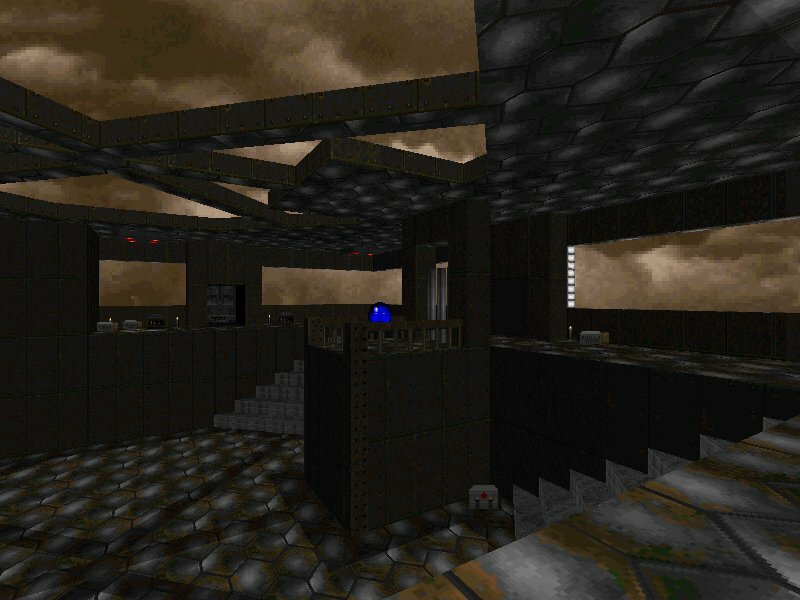 A small Doom 1 map, which is mostly Phobos with a little bit of Deimos at the start. 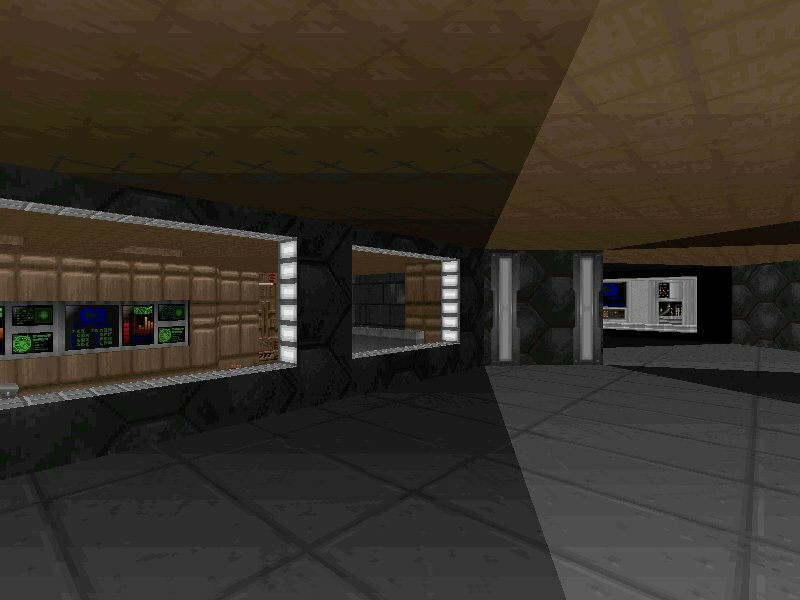 Detail is mostly low, but some areas don't look too bad, however the texturing in the first room is bad IMO (sticks out a bit). Gameplay wise, it's up to the usual Phobos standard - weak monsters, lots of ammo and enough health to survive. 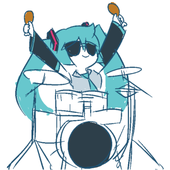 It's perhaps a bit too small for a tribute, but only if it was meant to be one. Apart from that, something for the old-schoolers. OMG a Skulltag map! As the title suggests, it's set on a baseball pitch, which comes complete with scoreboard. You get to battle on the stands, in the changing rooms, both dugouts and of course the diamond (all with unspectacular but sufficiently themed detail and architecture). Skulltag weapons and powerups are scattered throughout, which should make it fun for all you baseball-loving Skulltaggers. 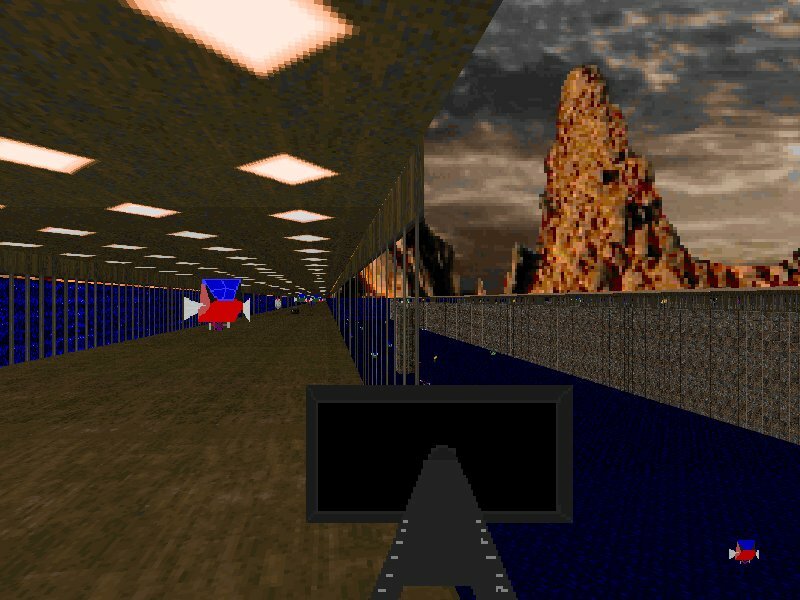 A non-map wad that has many sprite replacements, new status bar graphics and a whole load of new sounds (some of which you may recognise) and the ZDoom lumps to make them all work. Not sure what the updates are, but anyway. 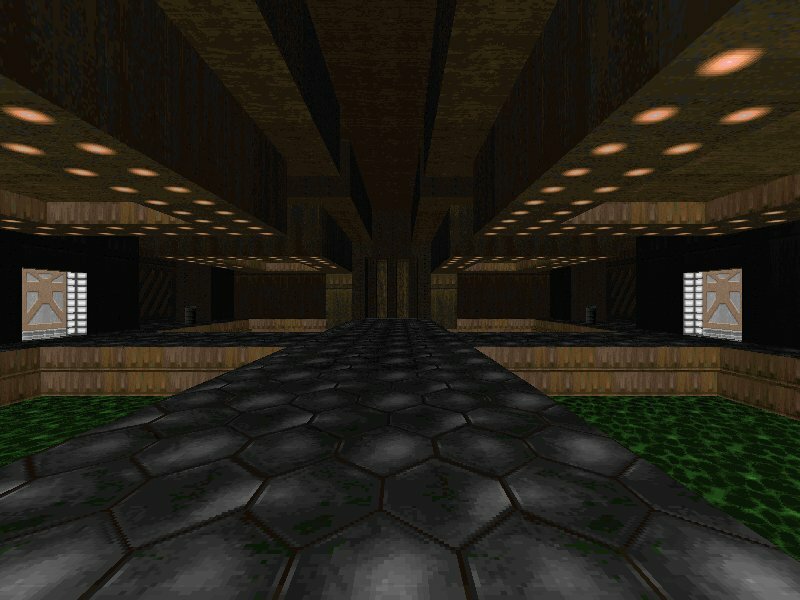 A set of 18 varied deathmatch maps that make great use of ZDoom features. 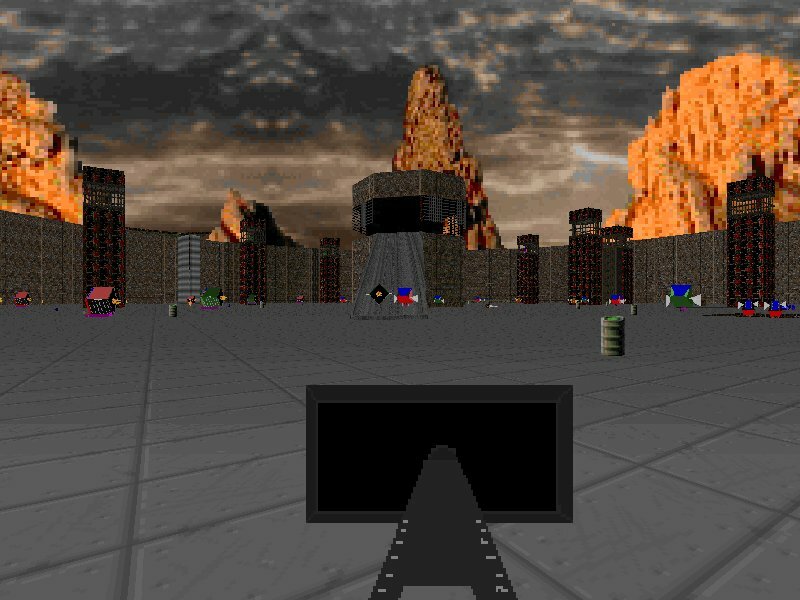 Detail is pretty good in most of them, and ZDoom features make the maps stand out from your average DM fare. There's a variety of themes, too - from base to gothic to earth, fire and air (and a couple of bizarre ones, too!). 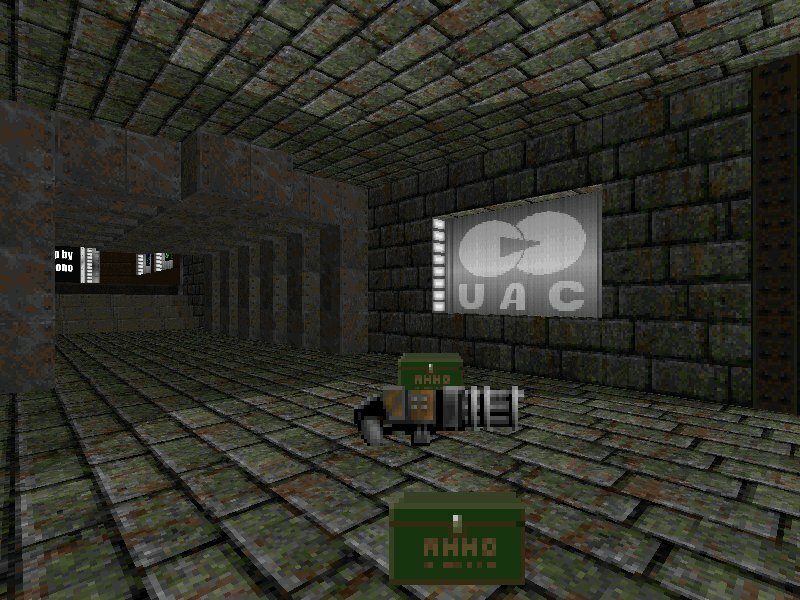 The maps are made up mostly of new graphics, and there's even a texture in each map telling you who made it. Gameplay should be varied, as there are open, cramped and somewhere in between maps. 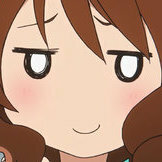 There's also a railgun instead of a shotgun to make things interesting. 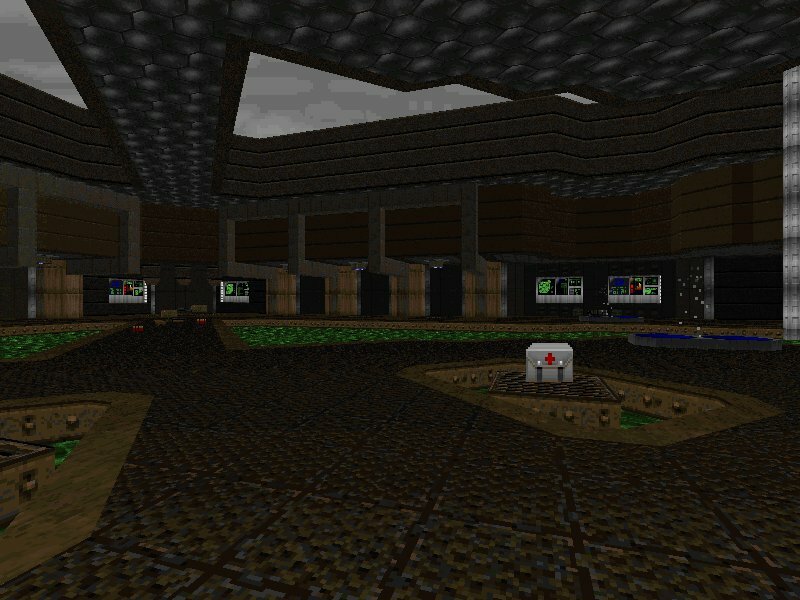 Deathmatchers should not miss this, even though there's one or two hideous maps inside. 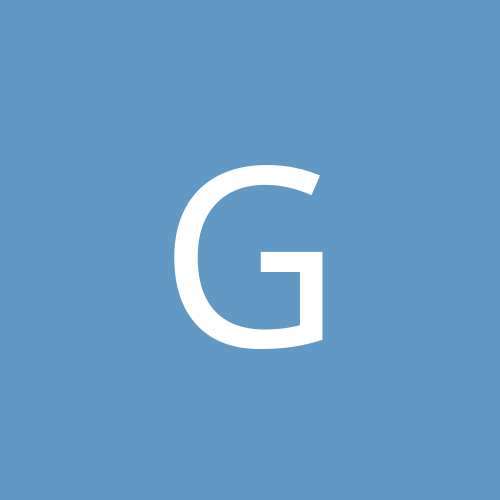 In any case, those who've played previous versions will be in a better place to comment there. This is an update of the wad that was reviewed last week, so I'll point you towards it. Personally I don't agree with it, as I found the gameplay was a bit off in skill 4 (not enough health/ammo, and the map itself was a bit big IMO) so if you haven't played it yet, you'll either want to play on skill 2/3 or give yourself a chainsaw to complete skill 4. 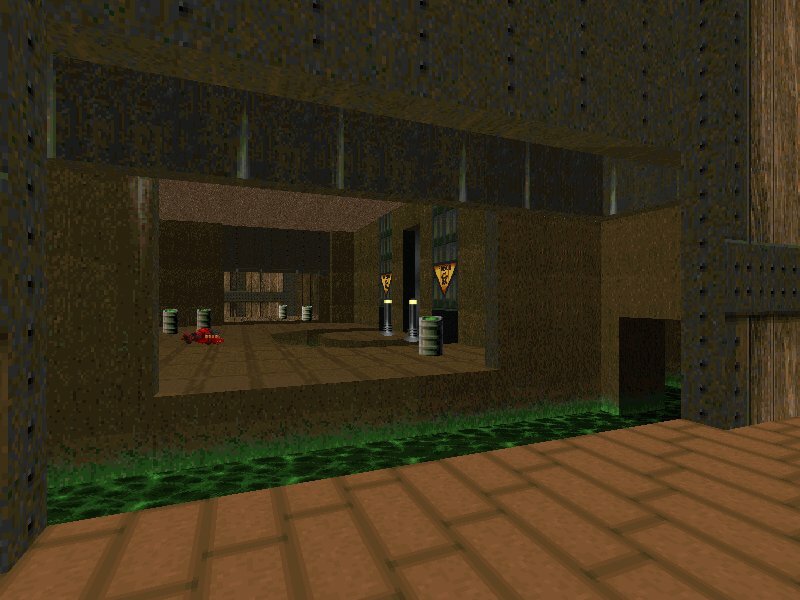 An E3M1 tribute map designed for Freedoom. As expected the map is tiny, however it manages to be totally different to the original. The start is similar (ie. pistol a caco to death) and is slighty tougher but what follows is different. However, you need some reverse logic to be able to complete this map, but apart from that it serves it's purpose well. 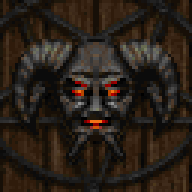 A skin that replaces the player sprites and some sounds with those of Taradino Cassat from RoTT. 'Nuff said. The second 8-map wad this week, this one is thankfully better than the first one. 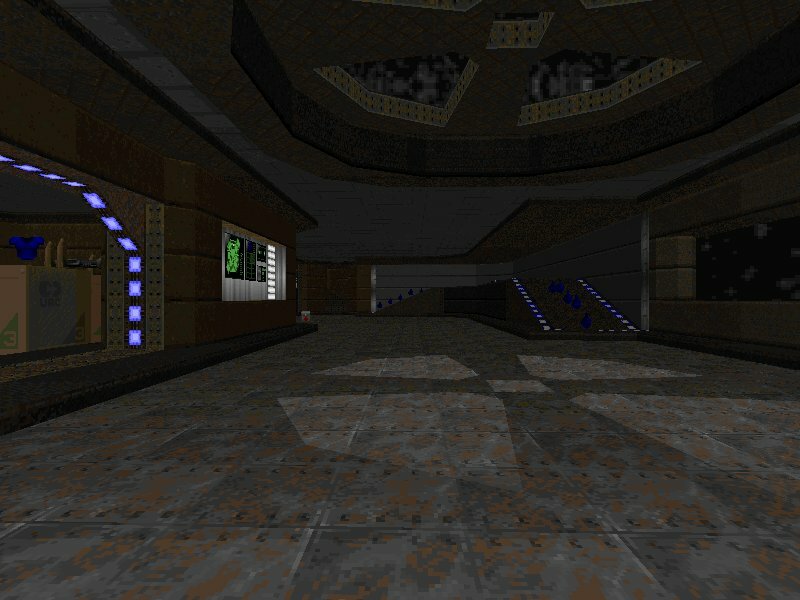 A mixed bag of maps, they cover various themes from Phobos to sewer, from brick to Quake gothic, from dark techbase to rocky. The detail is fairly high throughout (except maps 02 and 08 where it's a bit basic) and many a nice lighting effect to boot. The layouts are a bit suspect though, they can be confusing and sometimes it can be hard to work out where to go next. Gameplay is fairly easy and not too special, although it gets tougher later on and indeed the last map has a touch of Hell Revealed about it (which is always welcome in my book). Overall it's a bit hit-and-miss in places, but it's not bad. To sum up: It's a great megawad that's really fun to play as well as more challenging than most wads out there, and it's definitely recommended as one of the greatest wads ever - but it doesn't live up to the high standards set by the original, and consequently isn't as good IMO. Source port recommended. Props to myself for this great fp achievement. HR2 really is fun and should be enjoyed by all! Yay, another map of mine got a half-way decent map review. Now I just need to make a few more hundred decent maps and get decent reviews on them so I can have a decent mapping reputation! 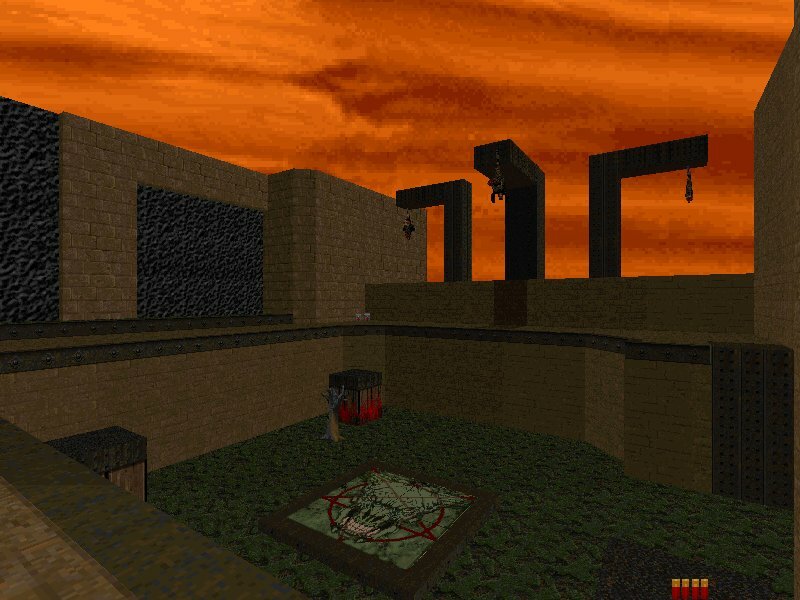 As for Abandoned Chapel, it is not the first ZDoom-Hexen map. 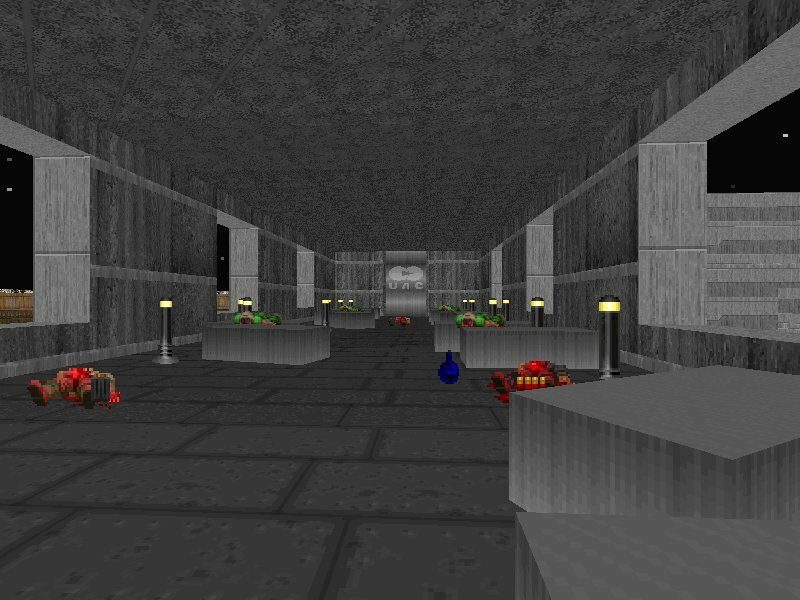 LilWhiteMouse created several "ZHexen" hubs, one to name is Wolfen. hell keep is neat, what's reverse logic? I just played insanity episode 2. I dont know what to say. I mean... I cant believe someone made that. Mock2's got nothing on this. Edit: Also, there seems to be a bug in Xaser's Arena. It's possible to get stuck between the first set of double doors. quite a few of them (eg. 16-17, 20-22) just seem like ordinary maps that have been beefed up a little. You took the words right out of my mouth. 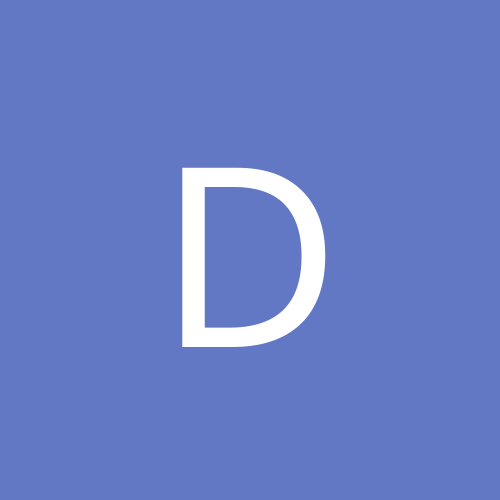 As I was watching the awesome demos that are already emerging, the same thing occured to me. Chroz & Sam seemed to be the only ones following in HR's footsteps. About half the levels have the old HR-style gameplay. I don't think that's an entirely bad thing, though. I mean, you don't want the gameplay to be exactly the same. I'm going to have to disagree with you here. The original HR needed very little tactical planning. 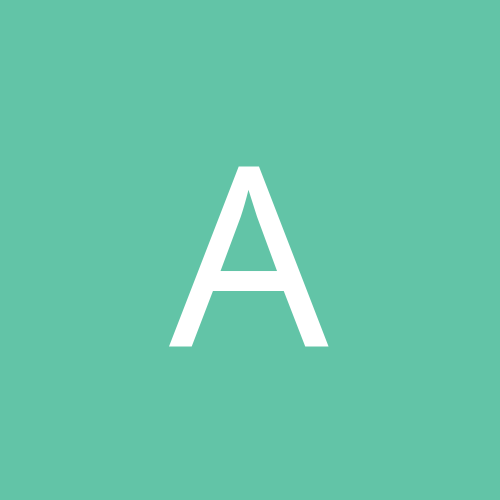 The levels were fairly straightforward, meaning there were only one or two possibilities for dealing with a situation. Example: do you fight your way to the first large weapon, or do you run and grab it and fight your way back? HR2 has a lot of this, actually. Another difference is that the levels in HR2 are often larger/longer. The strategy for making a difficult level changes depending on the size of the MAP. Played Abandoned Chapel and enjoyed it (I haven't tried it with the mage yet). It is indeed hard for the fighter, although I don't have to worry about mana (it's the health I'm concerned about, heheh). However, it was a piece of cake for the cleric. I had to conserve my mana a little until I got the Kraters of Might. As for health, I'd just use the Serpent Staff on a few enemies to keep my health up. The Heresiarch was easy for both classes, although I had a tougher time clearing out the minor enemies around him with the fighter. As a cleric, all I had to do was fire a few rounds of the Wraithverge to clear everything out (the Heresiarch didn't have his reflective shield up by then). The only complaint was the lack of artifacts. There were no Discs of Repulsion which could have come in handy. There were no Banishment Devices or Chaos Devices, and there were no Porkelators. I am curious about one thing though. 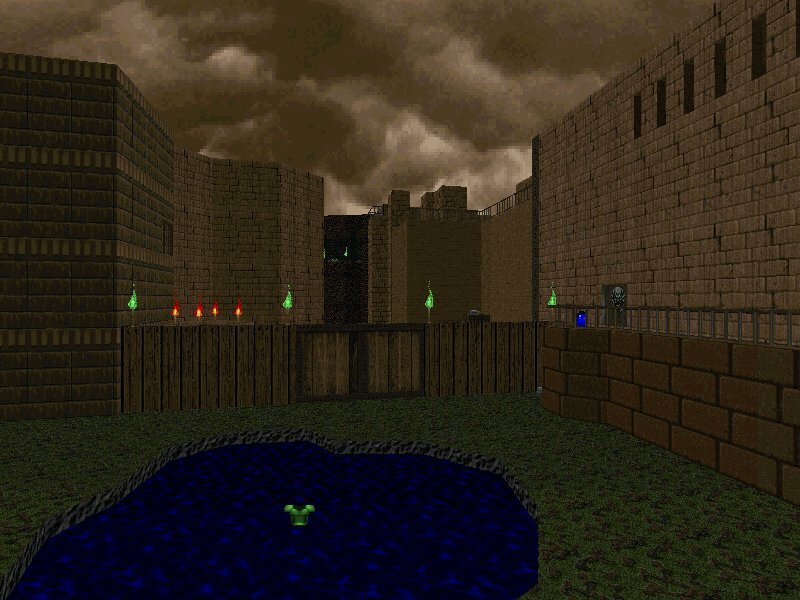 What makes it a ZDoom specific map? I didn't see anything out of the ordinary that would suggest that it was. Kudos for reviewing the almost forgotten Blitz Of Pain. Hell keep was great. I love a good pistol battle. I can't believe no one hasn't mentioned about the 404 errors from the images. TLSDM stole the skulltag textures without even fighting for permission! OMG, censorship!! There was 82 maps including a crappy joke wad but someone deleted it from the reviews - so the new record stands at 82, not 81. I was aware of those, but it was the first one released to the archives (and to newstuff of course). Still, it provides a mixture of playing styles which the original didn't have. And of course this doesn't stop the fact that it's one of the all-time great wads. 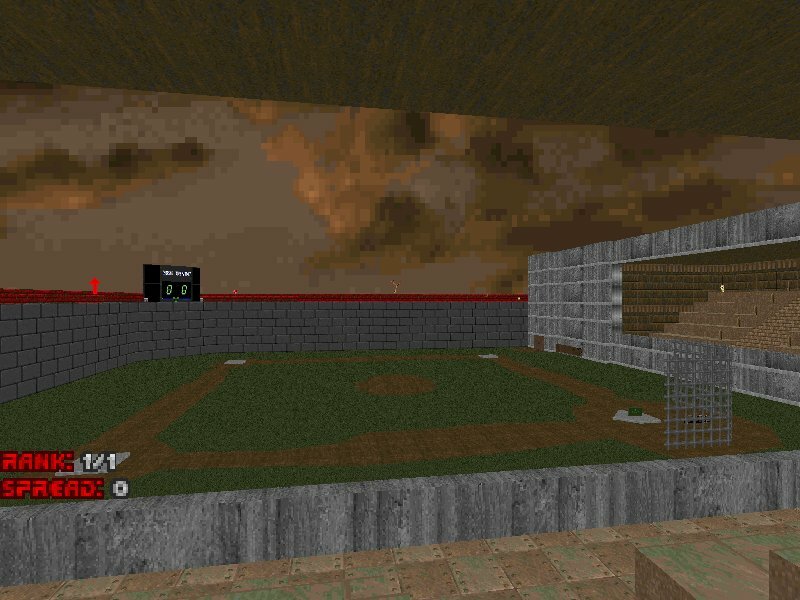 Hell Keep II was a rerelease (I made it in Doom Builder 0.3, even before it had 3d mode :P) but I'm glad people like it. 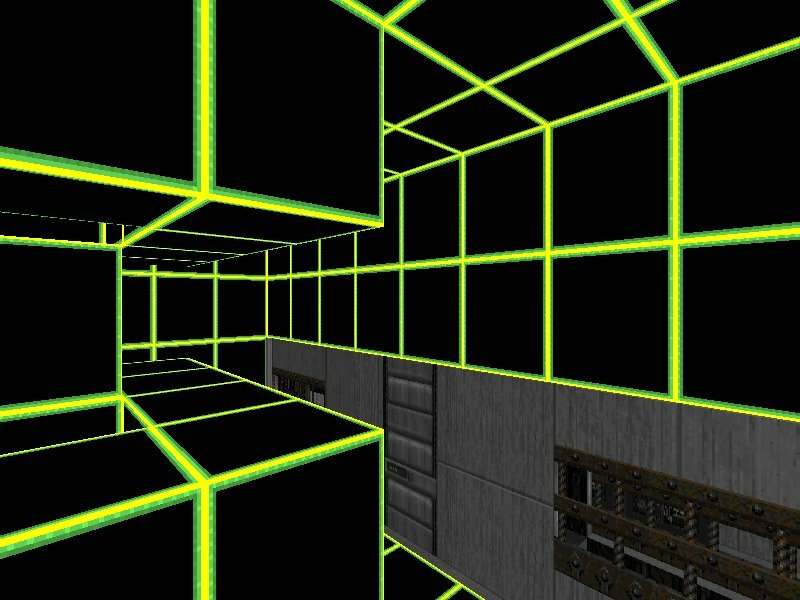 Some people have expressed it's too claustrophobic, so that's something I've been working to address in later maps. The only complaint was the lack of artifacts. There were no Discs of Repulsion which could have come in handy. There were no Banishment Devices or Chaos Devices, and there were no Porkelators. I am curious about one thing though. 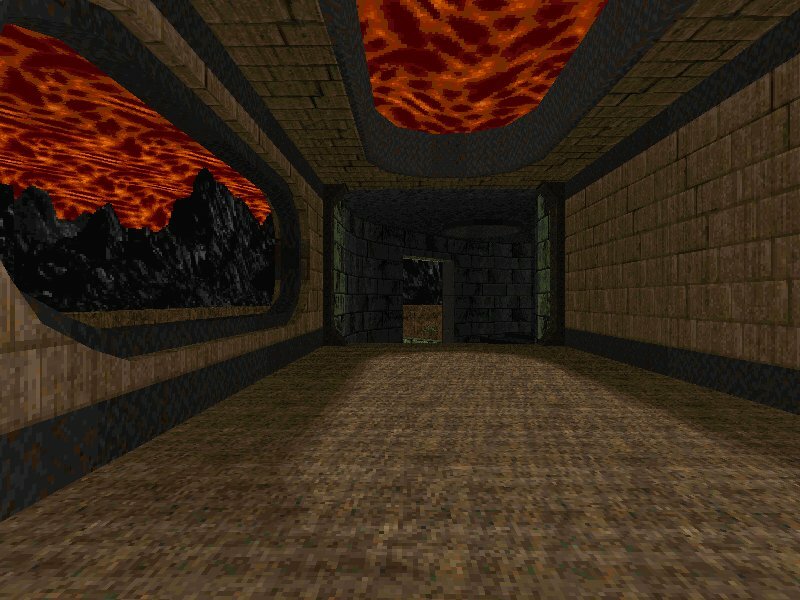 What makes it a ZDoom specific map? I didn't see anything out of the ordinary that would suggest that it was. How could you have run out of ammo? There's piles of shell/bullet boxes everywhere, and there's tons of medical kits lying around too. I never ran low on ammo in it .. although I did get beat up a few times. Maybe it was the SSG ..
Hm I never use Discs of Repulsion anyway. They don't quite make projectiles turn away. ... so the new record stands at 82, not 81. No, the official record is still 116 maps (/newstuff Chronicles 153). Unless there was a bigger one than that at some point, of course. both Deathz0r (intentionally) and Grazza (accidentally) missed it. I think once a wad has been deliberately skipped, it is purely optional for subsequent Chroniclers to review it. I was aware Deathz0r had skipped a lot of wads (this wasn't the only one). I think the original HR did require a fair degree of tactical planning. Of course, the best routes and methods are pretty well known nowadays, so perhaps people forget how vicious the maps were if you got the strategy a bit wrong. I don't think it took 12 maps to get going either; I always viewed map07 as the turning point, and certainly the next two odd-numbered maps (09 and 11) were classic HR material (note: HR map11 is one of those that haven't been done on NM, even with tool-assistance). I haven't played the new version, but I don't recall any ammo shortage at all when I tested it (on skill 4). Health was tricky for a while though (while tackling the baron from the 3D walkways). Having said that, there were a few other wads that week where it was vital to be extremely frugal in the ammo use, so that might have affected the way I played, but I don't recall that being the case either. Maybe I tackled the areas in a fortuitous order. So, you enjoy maps where everything is well lit so that there is no atmosphere and you have the opportunity to get the lay of the land before you move your feet? Hmmm - sounds like fun. Not. Do you think I named it after the Aztec 9th level of hell for nothing? Can someone plz fix the screenshots?! I generally use Discs of Repulsion to blast away any enemies if I ever get swamped by them (HR2's map 9, 29, etc.). They're also good for causing a lot of infighting, even among monsters of the same type. I don't use the Banishment Device because it doesn't kill anything, just move the monsters to another part of the map (I've fixed this in my game). 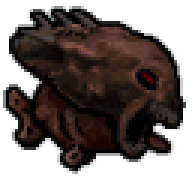 I always try to kill everything, except in most Hexen maps where new monsters are spawned every so often. The Porkelator, like the Morph Ovum, is very useful. I use the Chaos Device if I ever pull a Wile E. Coyote and I don't want to start over. Endgame map07. Best. Level. Ever. I had the pleasure of playing it in the beta stage and now it's even more amazing. Those light effects are stunning, I have no idea how that was done. I'll need to install an editor again... And the layout! Sooo beautifully done. Look and learn, kids. This is the best there is. I quoted the wrong guy. I do that on these forums sometimes cuz the colors are so dark it's hard to tell which poster I'm quoting. Probably the guy below him but maybe the guy above him. The guy said something about not liking the dark areas because the hwd's could get him. Poor him.